Advert, Flyer, Facebook Timeline Cover or a new logo? Great designs are what I do when not creating websites! If you have ever tried to design an ad for a magazine or newspaper you surely know what a hassle it can be. The font types, the images size and format? Does the ad turn out once in print, exactly the way you wanted? This is why I am here!. 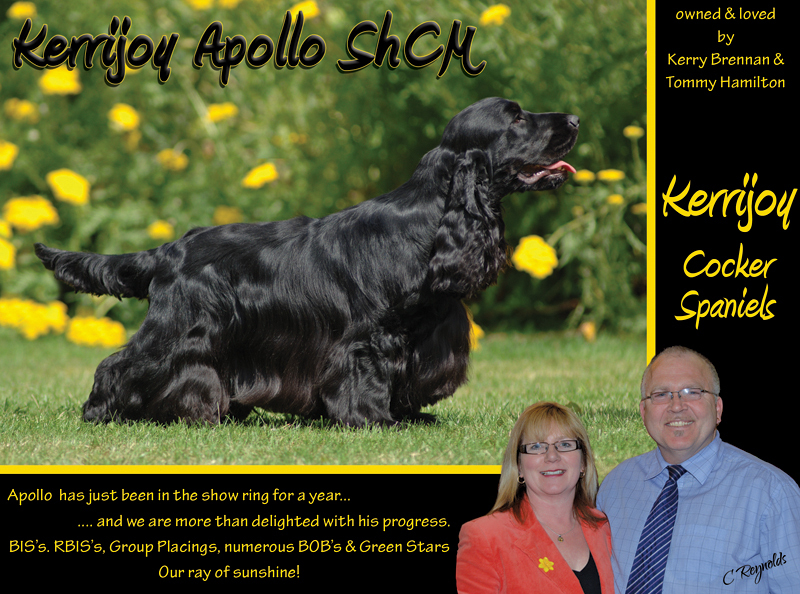 I have over 20 years experience in design, artwork and print and I am happy to discuss any new and/or existing advert designs that you have to help further boost interest in your business or showcase your dogs. 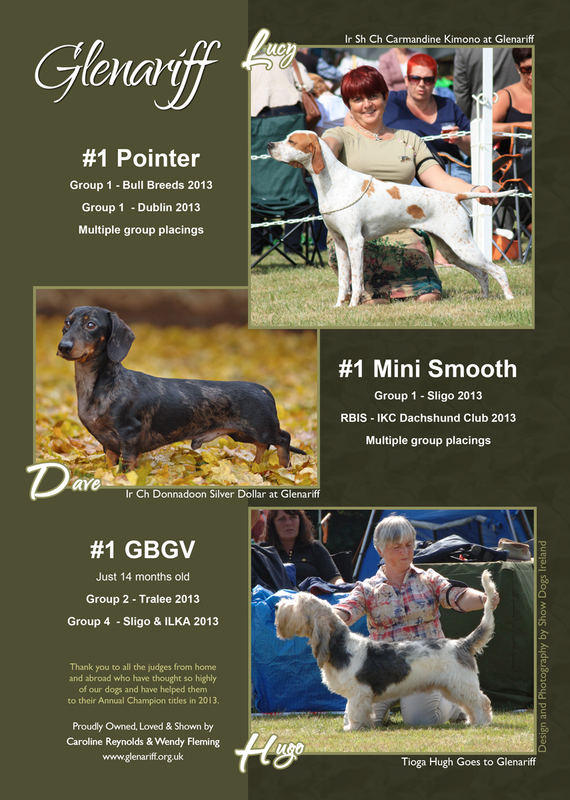 Being involved in showing dogs myself it is not surprising that the majority of my work is for dog show exhibitors. My designs have appeared in various publications including Our Dogs, Dogs World, The Kennel Gazette, Irish Canine Press, Our Dogs Ireland, Breed Club Year books as well as Show Dogs Ireland. What I recommend is good quality images so we may need to do a photo shoot first. We need quality photographs to work with and use, so the ad will look as good as it possibly can. We all know how important it is, to get the right attention! 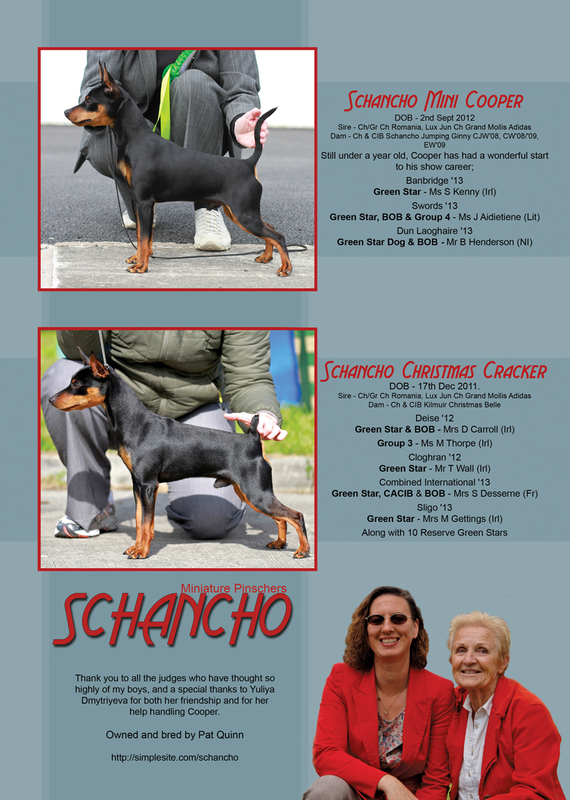 Take a look at our prices and note that as the Show Dogs Ireland principal ad designer, I do not charge a design fee for adverts that appear solely in the publication. Sent to publisher on approvalOnce you approve the artwork we will send you an invoice and upon payment your advert will be sent to your publisher and a web ready copy forwarded to you. Up to 3 design variationsWe will initially provide 3 logo variation and from you chosen logo we will then tweak the design until you are happy. We will use your ideas and make suggestions on how you want it to look. We create the design and send you a proof to view. You can then call or email us to go over the modifications you need. Once approved we will send your ad to the publisher via the internet and send you a web ready copy so that you have it to share on your website or social media site. Obviously I not going to say I am awesome, but I prefer to show and tell and let my work speak for itself. So, check out a few of our recent designs on this page and more adverts, flyers & banners can be viewed on our Graphic Design Portfolio.